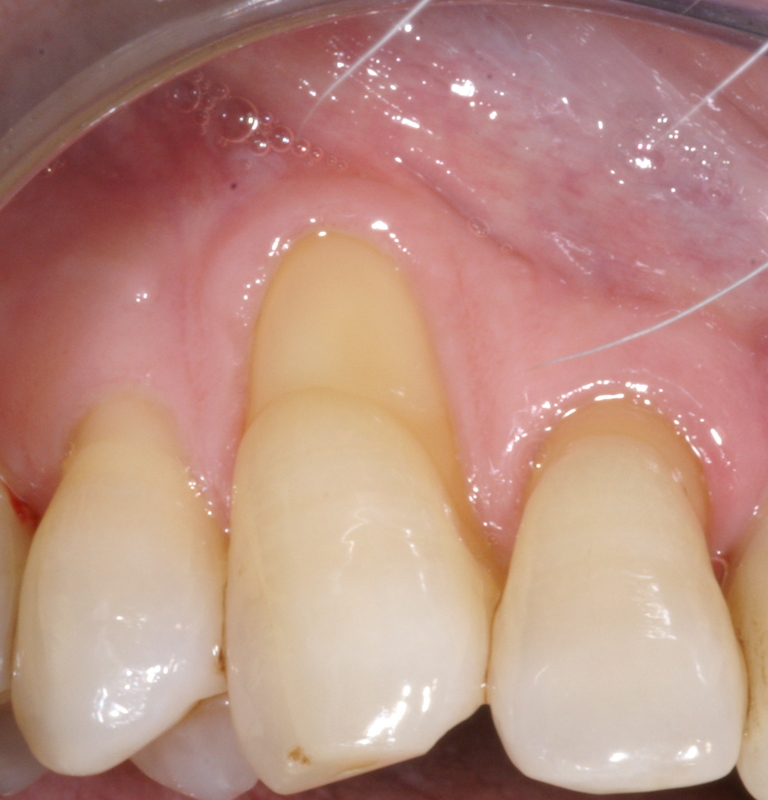 The clinical photos below are illustrative of what your dentist and I can do to help you achieve optimum dental health. 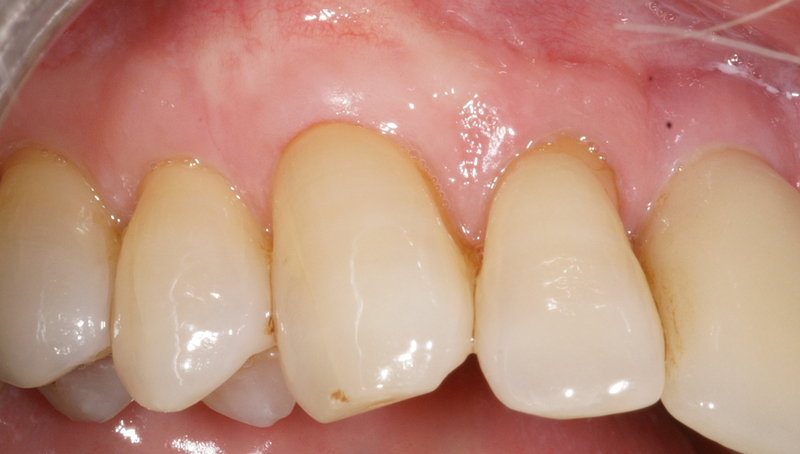 The before photos show a lack of attached gingiva and exposed root surface. 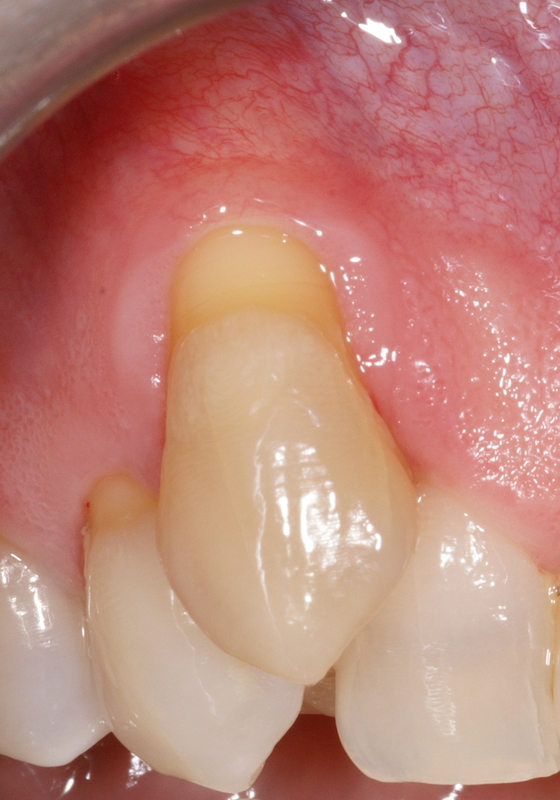 In both cases, the root surface was covered using graft borrowed from the tuberosity with growth factors. 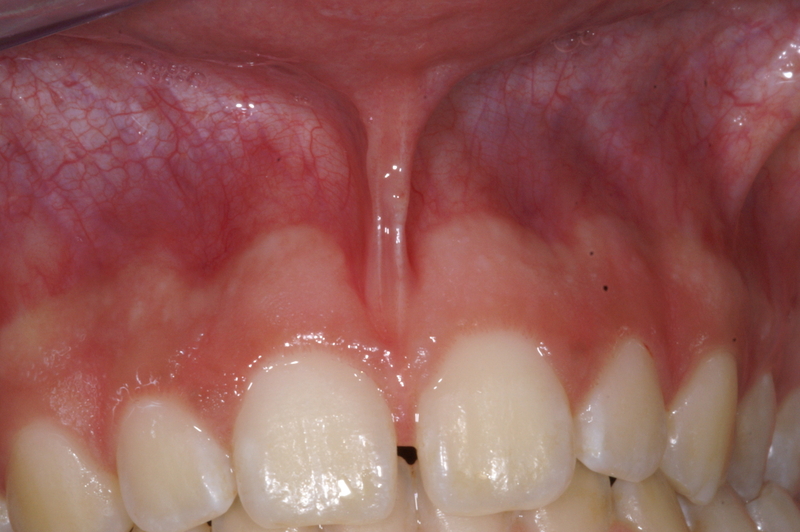 An aberrant frenum causes a gap between front teeth, which is shown in the before photo. 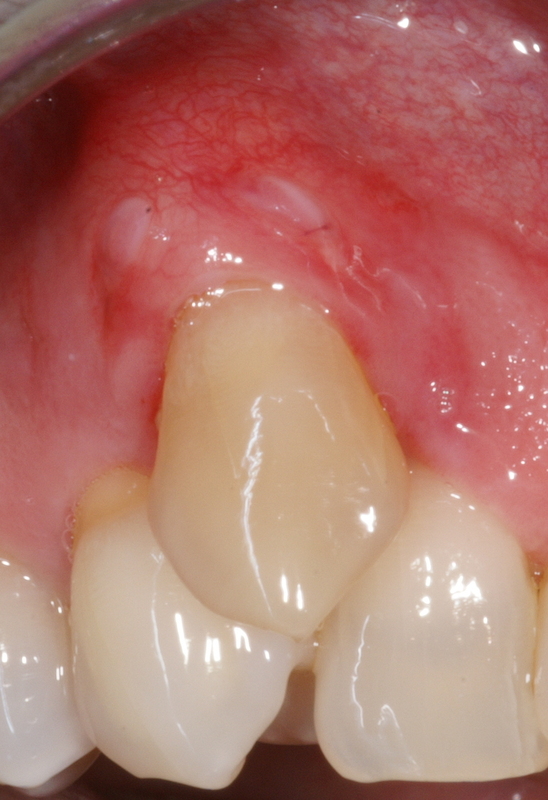 The aberrant frenum was removed, shown in the after photo. 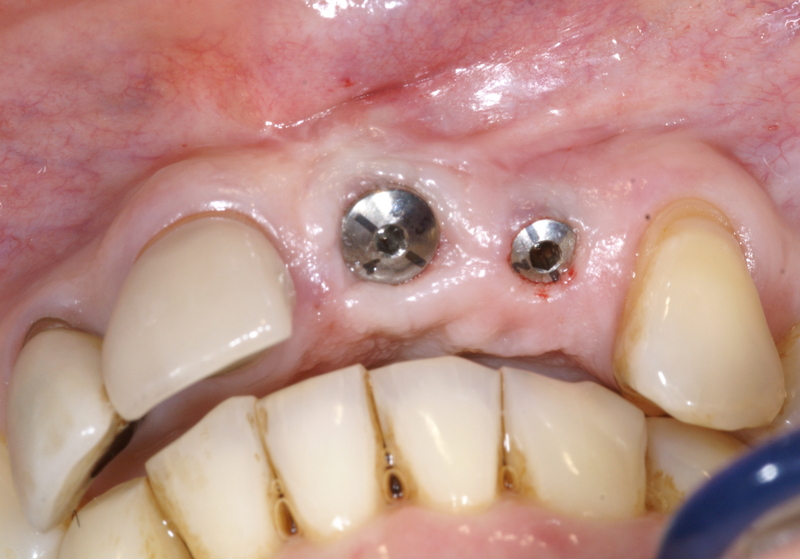 CAD/CAM guided implant placement and natural appearing crown restorations. 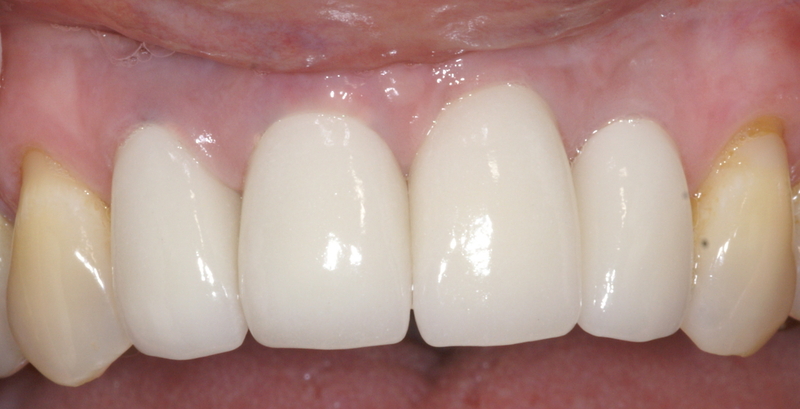 Implants were placed in the appropriate positions and crown restorations were done by patient's general dentist. 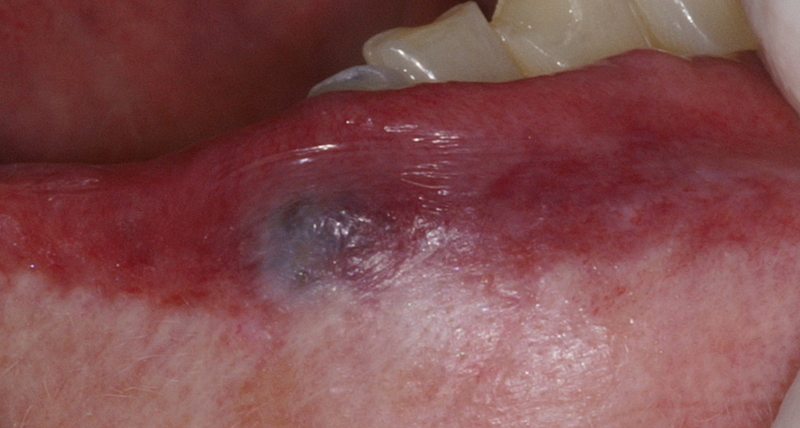 Venous lake lesion or "blood blister" removal. 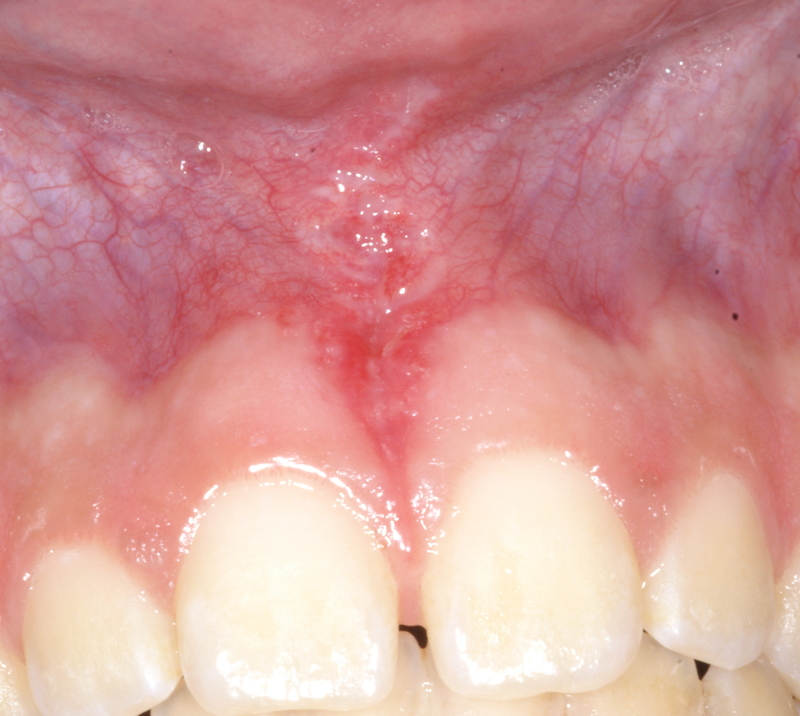 Lesion was removed after only two visits.